Hello and welcome to the weekly round-up of communications appointments. Here you will find a recent selection of movers within agency, medcomms, med-ed, advertising, PR, creative and digital firms. Publicis Resolute’s senior account director Emma Knott (pictured right) has been appointed into the newly created role of associate director and head of social media. 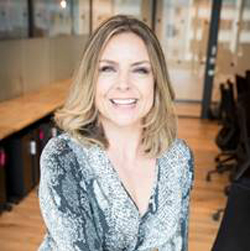 Commenting on the appointment, Ann Hughes, business unit director at Publicis Resolute, said: “Emma was made for this role, she is a total ninja when it comes to maximising social media for both the agency and our clients, and delivering with excellence. With ten years’ experience working in PR and digital communications, Knott has worked with a variety of clients from traditional pharma and medtech to consumer brands. Independent healthcare communications specialist ROAD has appointed Sarah Winterbottom (pictured right) as senior director. Previously serving MS&L, Winterbottom’s career has seen her provide senior counsel to clients across pharmaceutical, consumer health and the healthcare service sectors, both globally and within the UK. However, Winterbottom’s new role will see her work alongside ROAD’s founder and managing director Paul Jarman, who said: “Sarah comes with a huge amount of experience and sector insight. W2O, a network of analytics-driven, digital marketing communications firms, has named Ujwal Pyati (pictured right) practice lead, scientific strategy. Pyati’s new domain will see him grow and expand the group’s scientific and medical communications practice and integrating it with the firm’s analytics, digital and value, pricing and market access practices. 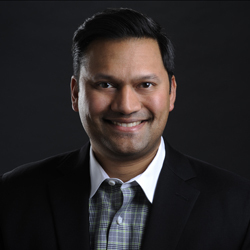 Joining from McCann Health North America - where he was senior vice president, director of scientific strategy - Pyati was responsible for building and supervising scientific strategy teams across multiple agencies within the McCann Health network. His new role however, will see him based in W2O’s New Jersey office based in Florham Park, which - according to the group - has doubled in size over the last year and half. Pyati said: “I’m excited to join W2O and harness its existing strengths, including unparalleled analytics capabilities, to build a best-in-class scientific strategy and communications offering and change the way people connect with and value science and medicine. In this newly created position, Pyati will develop a science-driven strategy, implement situational assessments and workshops and develop scientific platforms and lexicons. He will also create disease/mechanism of action narratives and visuals, product messaging and disease education along with peer-to-peer educational and promotional materials.